I know I’m bit late to rave on this topic now. In fact this incident (or accident ) never intrigued so much to spend some quality time before my gleaming computer screen. But the only thing that can’t get though the tentacles of my kaput brain is what is in this royal swearing ceremony tantalizing them so much to chit-chat for a long week. It’s been four or five days since Kate and Williams willingly and happily walked down the aisle, but these news-people are relentlessly blowing trumpet of royal wedding and I can’t say about anyone else but in my shoes, I’m fed up. Looking to all these hullabaloos in hot air(this is summer here in India) for this wedding with news headlines like “ most waiting marriage of the century “ , “ Tale of fairies met reality” and a lot, it feels like this the first wedding of world is going to witness. Before them, all marriages were forged? Tell me one thing, what is the big deal if a Prince is marrying ? It is what most of the people in the world do- Marriage. How many people these days are adopters of celibacy? 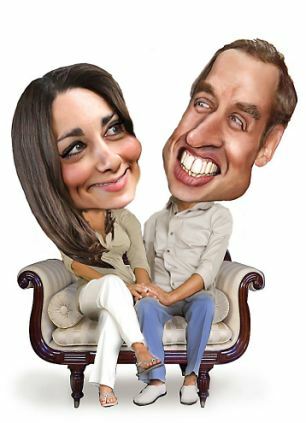 And what is there so electrifying in the nuggets of prince Williams marrying his longtime girlfriend ? This is also done by many people (although they believed to lucky enough). But they don’t become flash of our tv for 24x7. And most importantly, I agree that whole world were waiting for the royal wedding tapping eagerness and bated breath and bubbling with joy, but it’s over now and as per the rumor of their further planning , will might have returned to his job. Still then some freaky news channels are there who are still showing on their exclusive report all those dating-betrothal- marriage widely grinning pictures of kate and will varying from different angle that a normal viewer must have watched for hundred times ( normal viewer is, according me, who spends at least 1-3 hours before the blathering idiot box jumping from channel to channel with a minute interval ). That also spiced with silly comparisons and hilarious predictions. Let me focus light on some those sarcastic headlines of news channel that used vexing my brain till now ( thanks to osama’s encounter, the lime light is now casted on his photo with a big garland hanging on it and lines of burkha clad women who claim to be his wives sobbing, whacking with strange noises in his funeral.) So here is the lines that I could frame and would love to suggest to the news channels if they are running out of snippets. 1. Is the train of kate’s bridal dress shorter that her mother-in-law Diana’s? 2. How many layers of makeup actually Kate was wearing? Has she undergone needles for this special day? Is the Barbie look of royal bride is just a flawless feat of plastic surgery finesse? 3. According to the numerologist Mr. Phatuknath cowwala , to make their marriage more sustaining, Kate should change her name to Cat and William always use his short form Will and must use ‘I will’ whenever Kate asks him for something. 4. The ring worn to kate by will wasn’t actually his mothers ring. This is just a perfect replicate of that antique piece because kate said no as she is afraid of any impression on her pristine manicured fingers. 5. At what angle did they ( kate and will) bowed their head while kissing? According to the astrologer Mr.Phusphas Maharaj here, their marriage is going to plunge till the next three month. So to cut the sin off, they need to marry again and standing on the southern-east side of Buckingham palace and have to kiss eachother precisely for 37 seconds at an angle of 68 degree standing on one leg. 6. King Charles had kissed princess Diana on her hand showing deference to the royal heritage but why will avoided to kiss Kate’s hands? Is it because Diana said not to ruin her 203$ spent on spa for those glistering hands. 7. 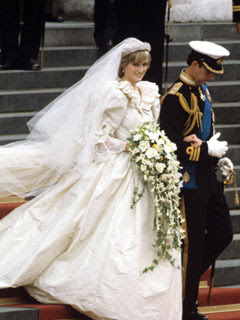 Was the bouquet’s design carried by Kate to the wedding copied from that of Diana? 8. What is the weight of the twinkly laces stitched to kates dress? Is that heavier than kate? 9. 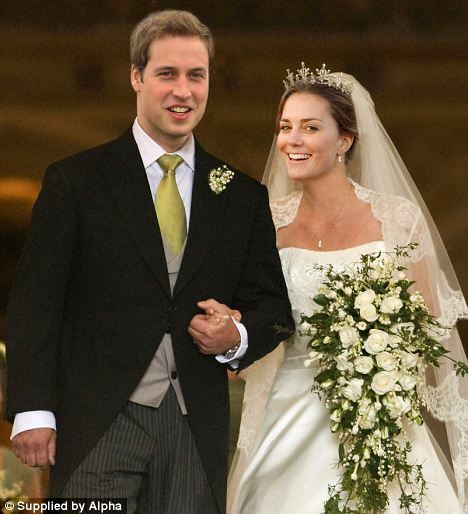 The doctor who did artificial wedding of Kate is claiming that she hasn’t paid his full payment and has stopped contacting him. In real if I do try, I think I’ll be able to fetch another 100 discussions on it but actually I’m not at all interested in it. So I think the much time I gave to it is more than enough. And my best heartily wishes to this married nuptial. Hope they live happily ever after. And only request to news channels to switch to something new for heaven’s sake.